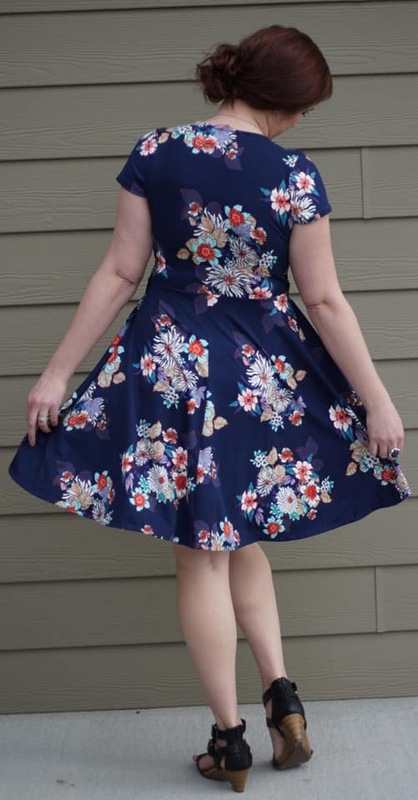 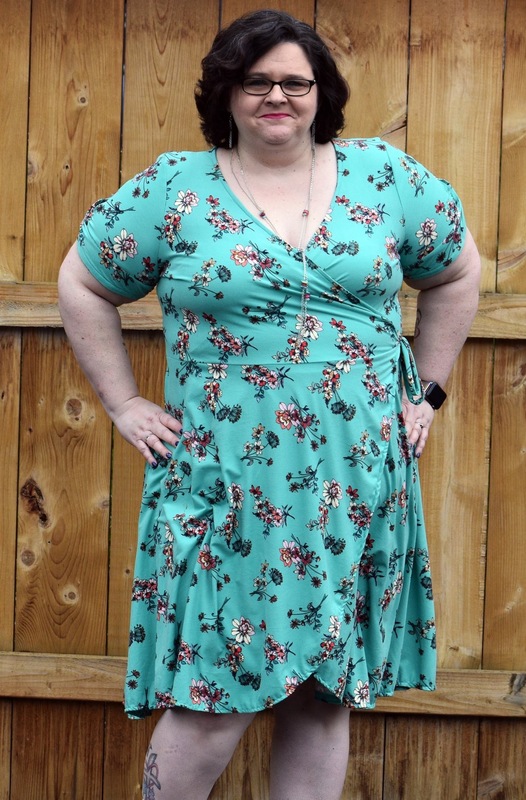 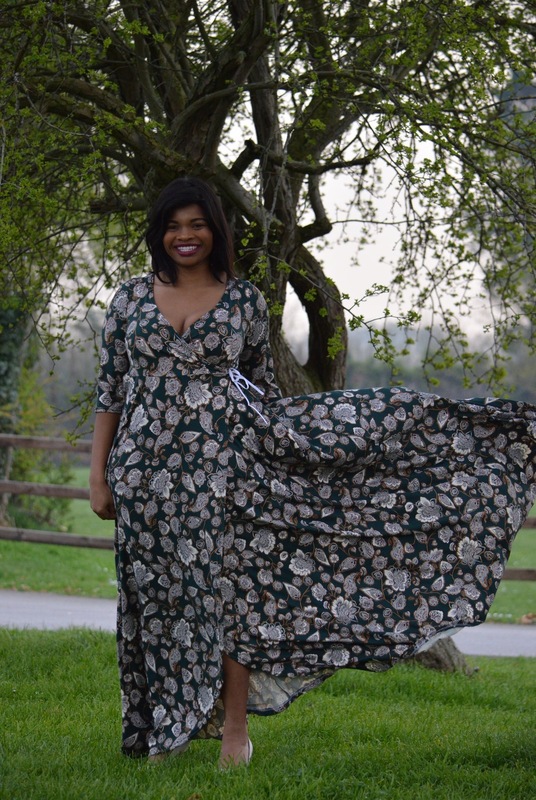 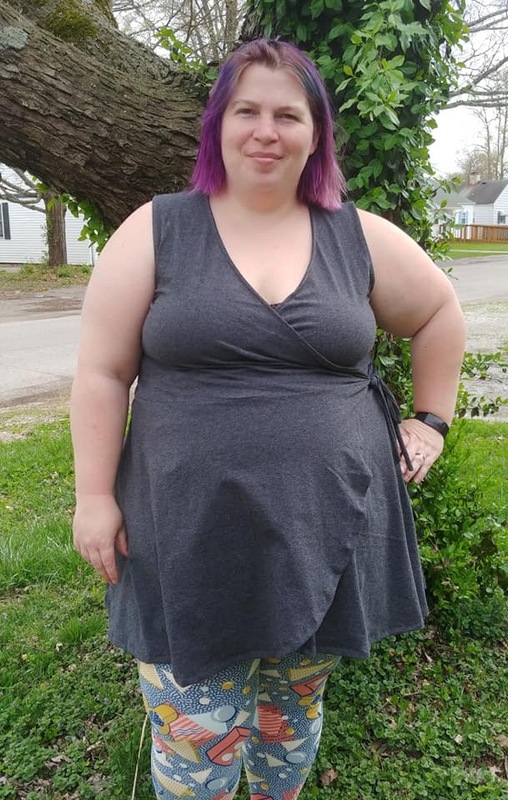 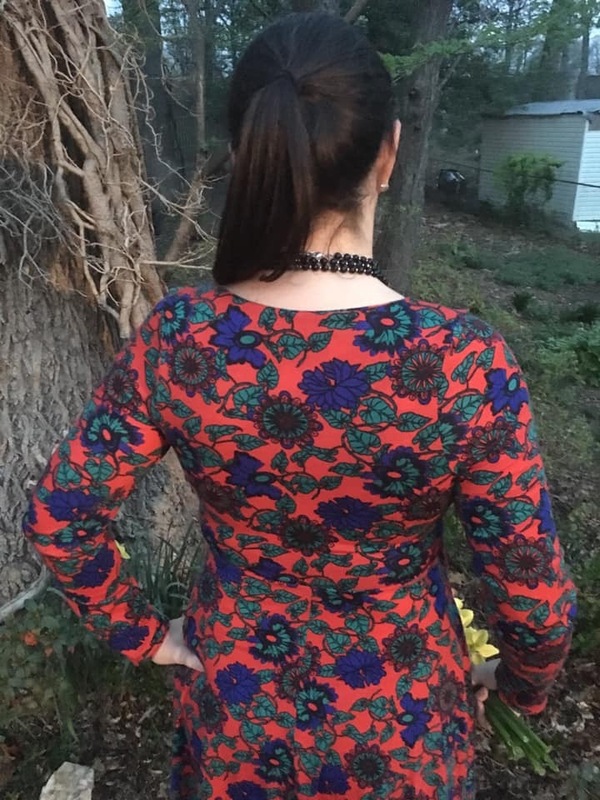 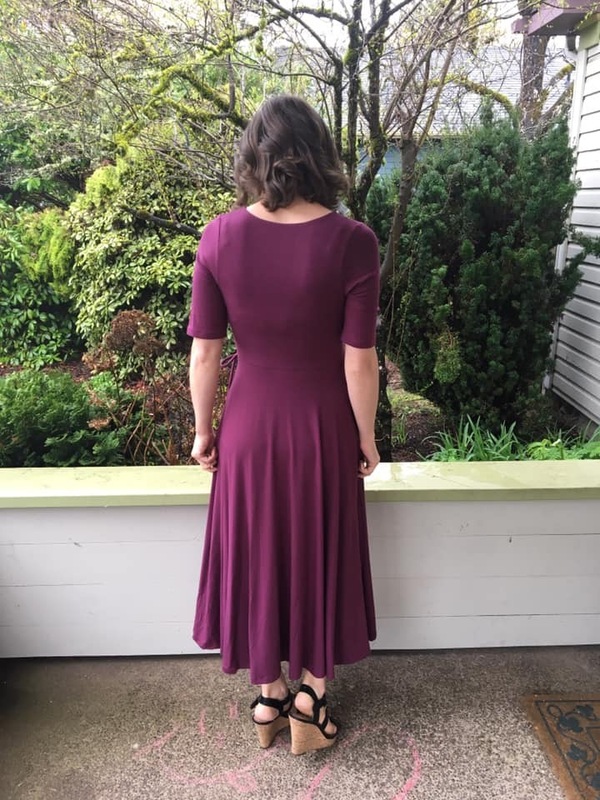 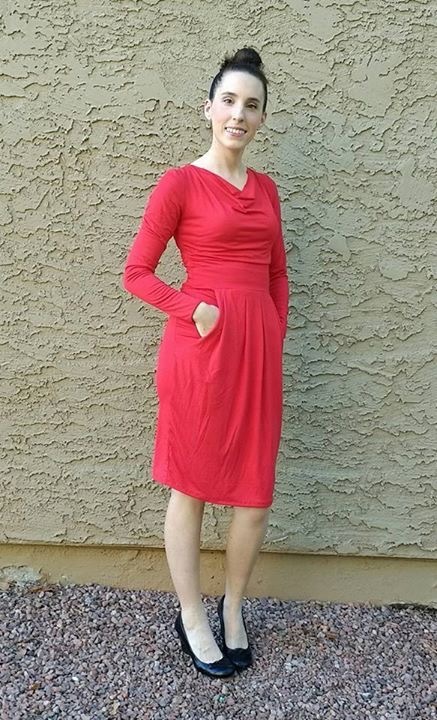 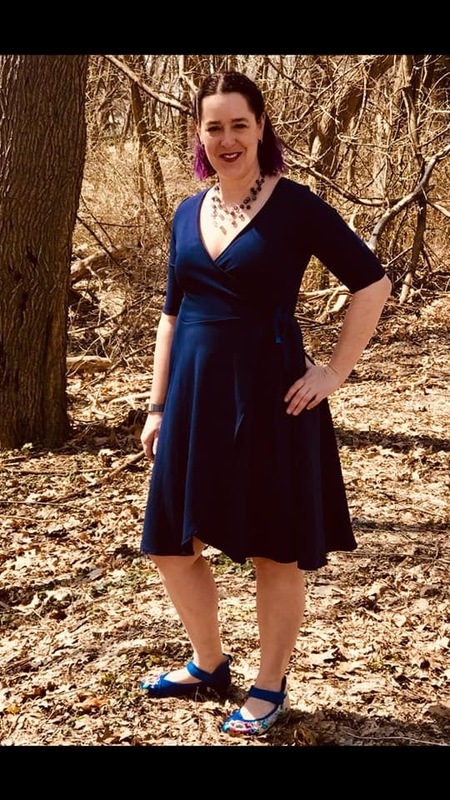 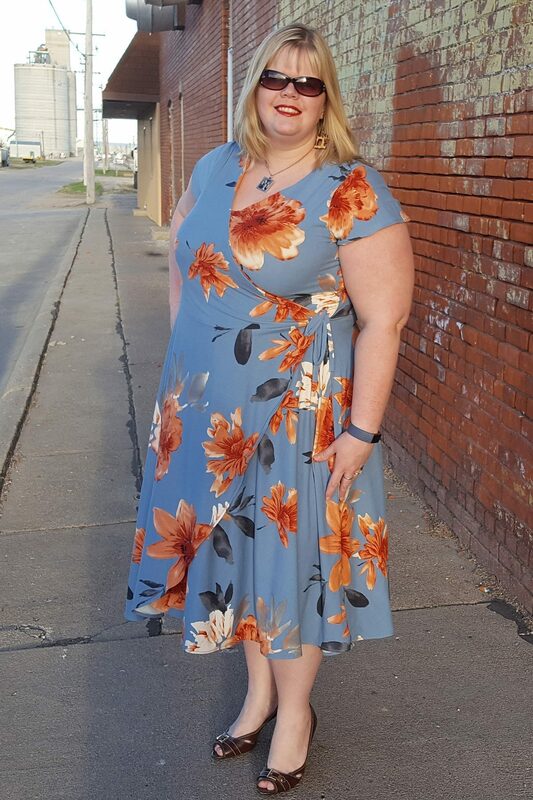 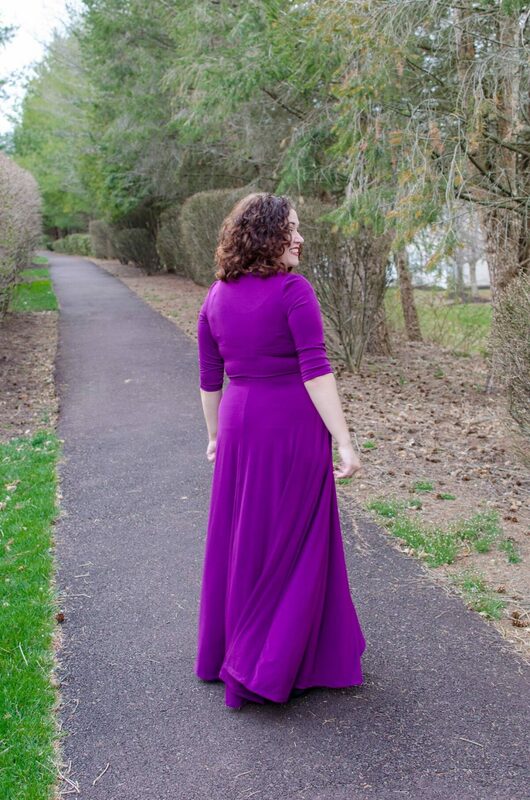 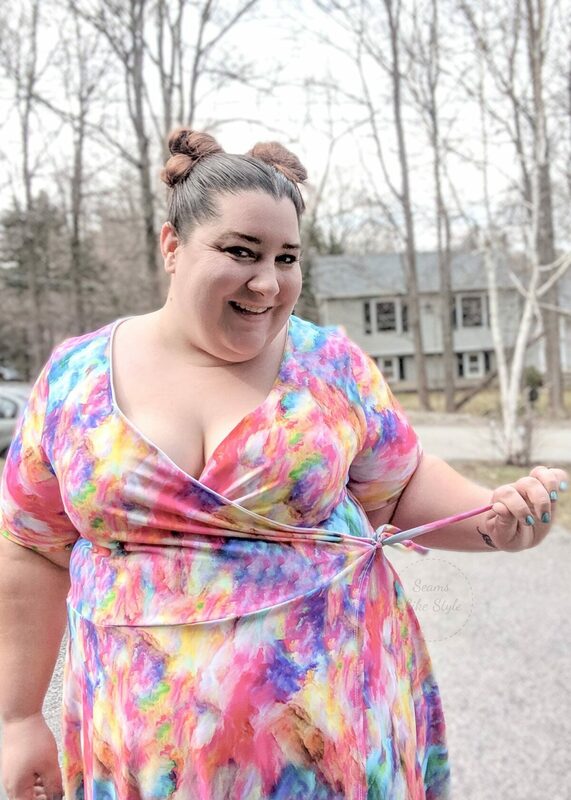 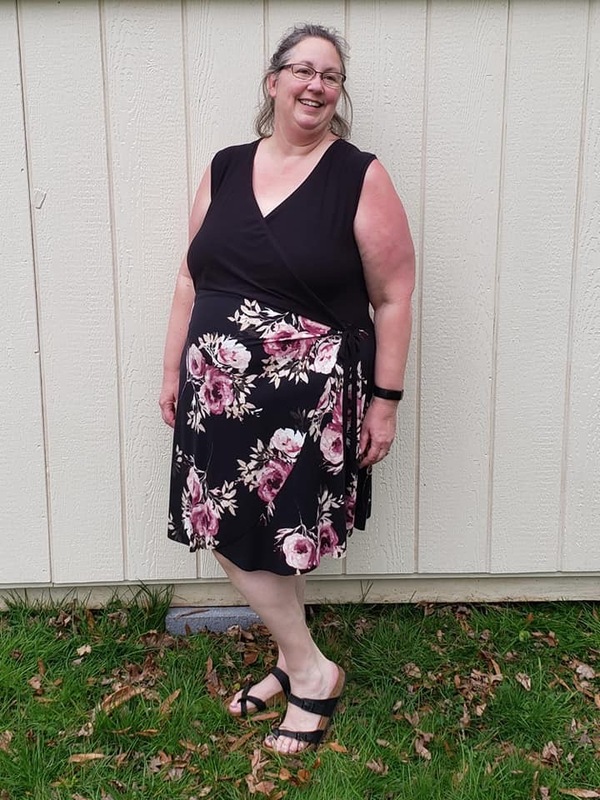 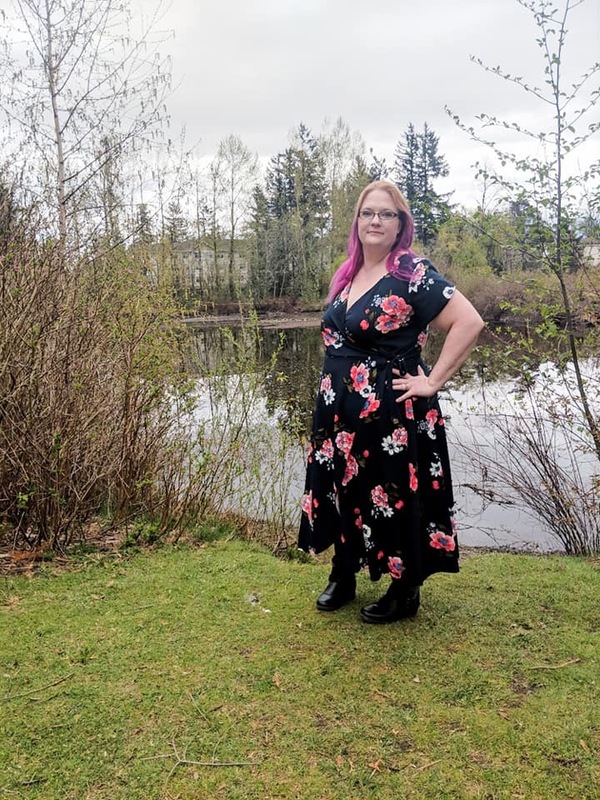 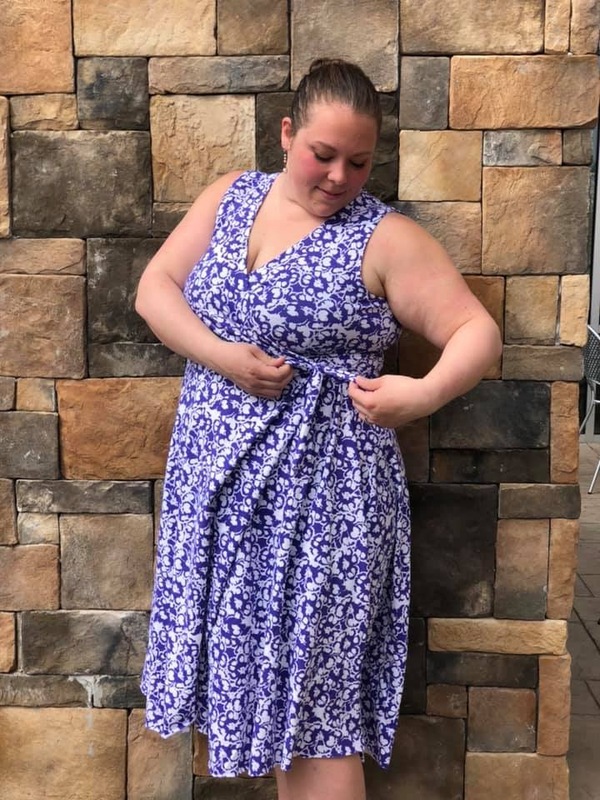 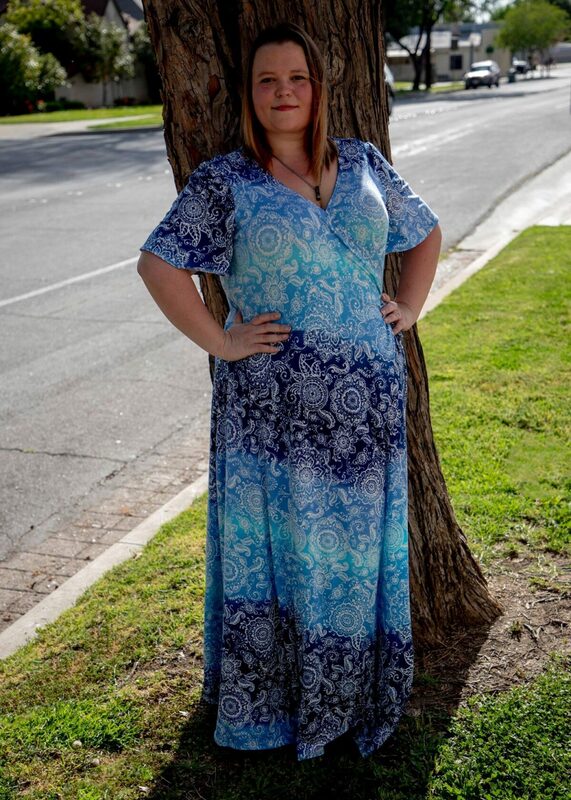 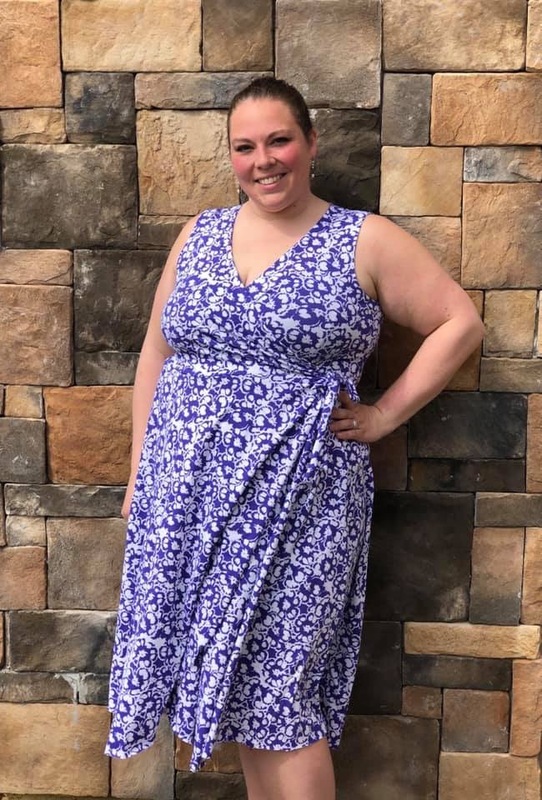 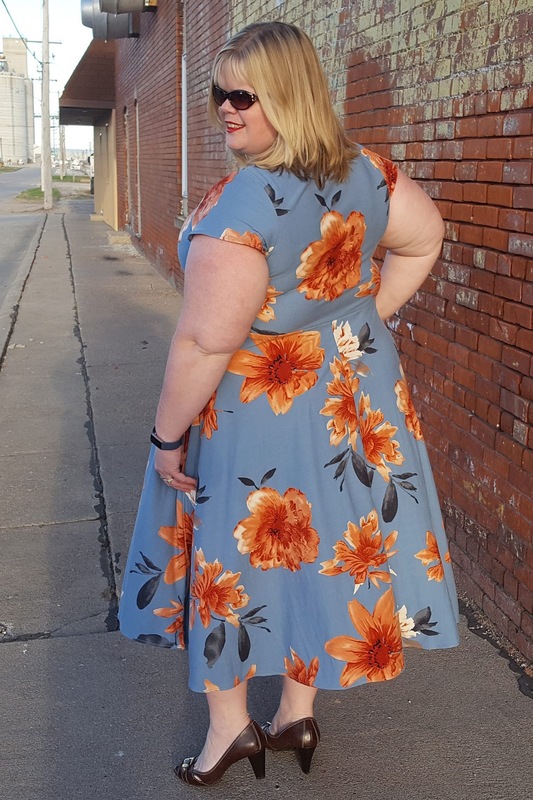 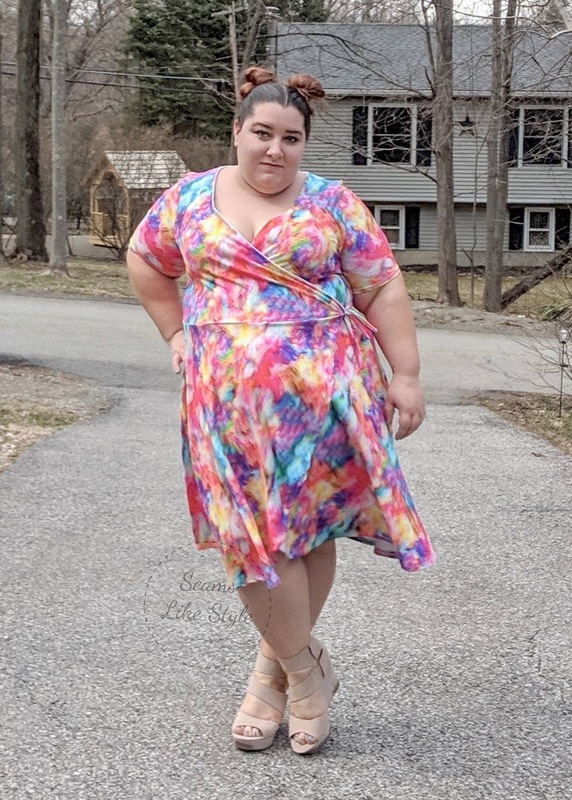 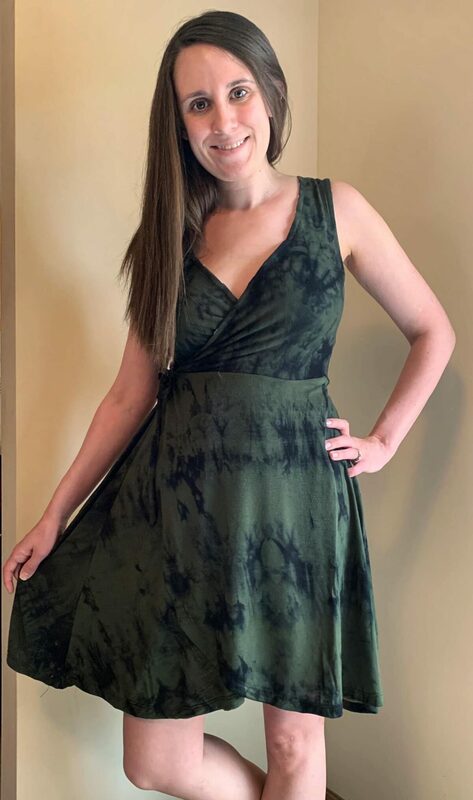 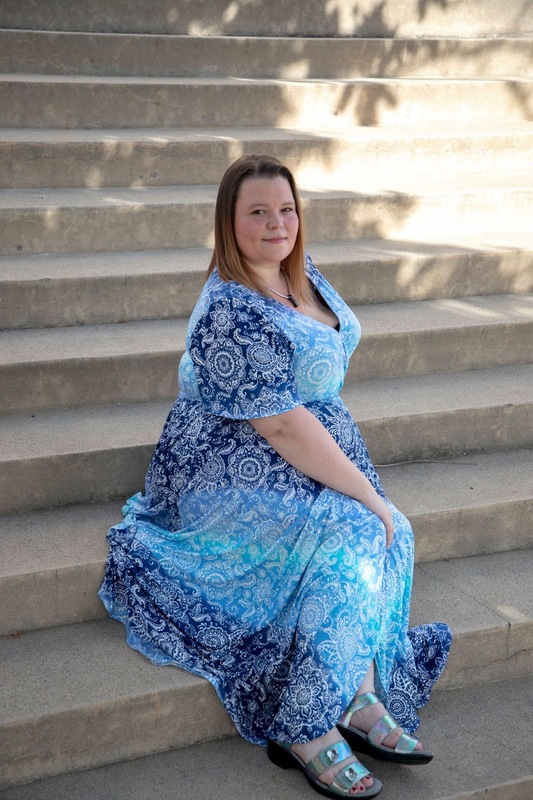 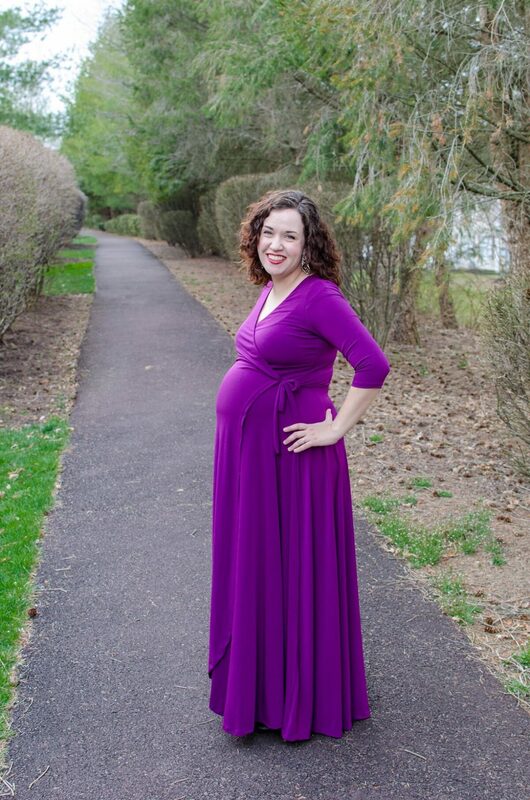 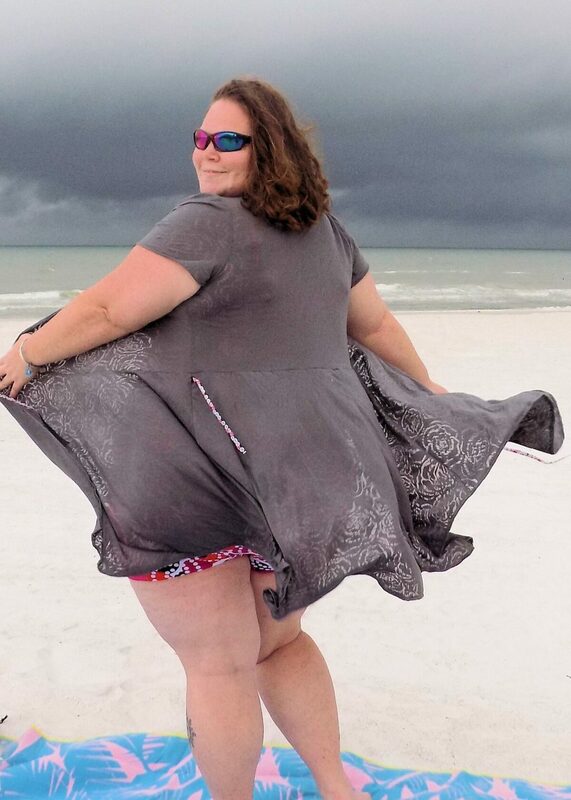 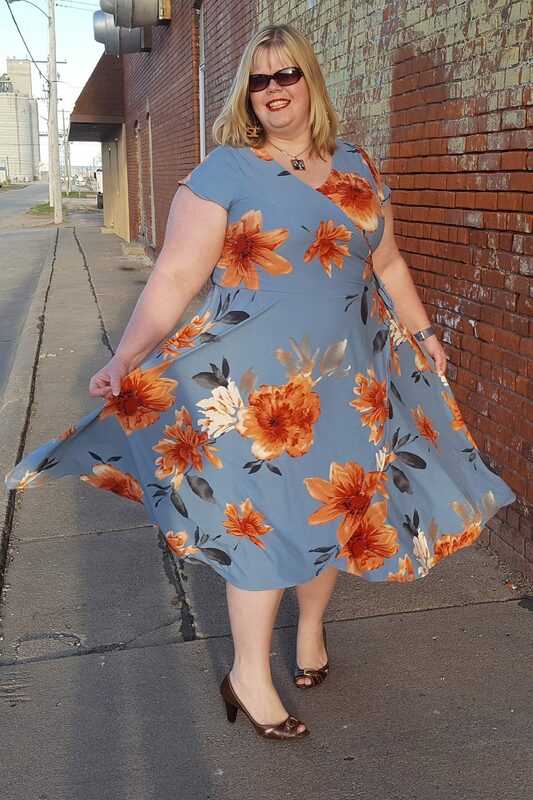 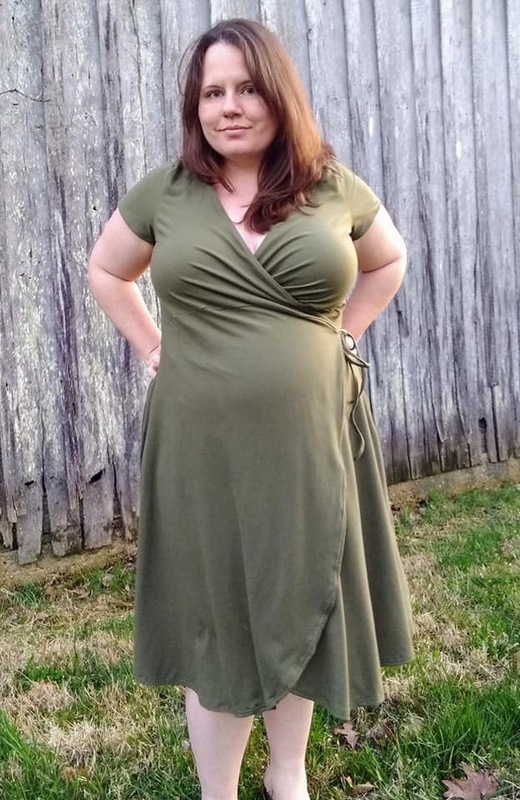 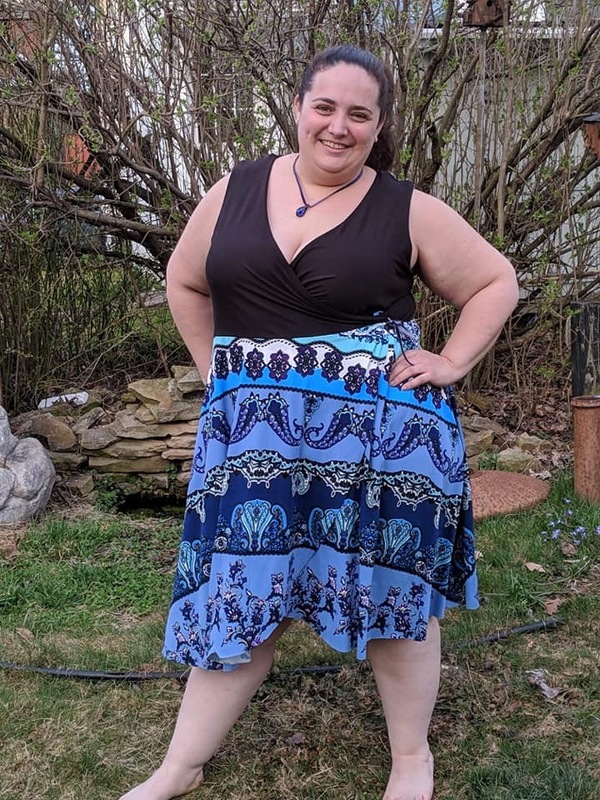 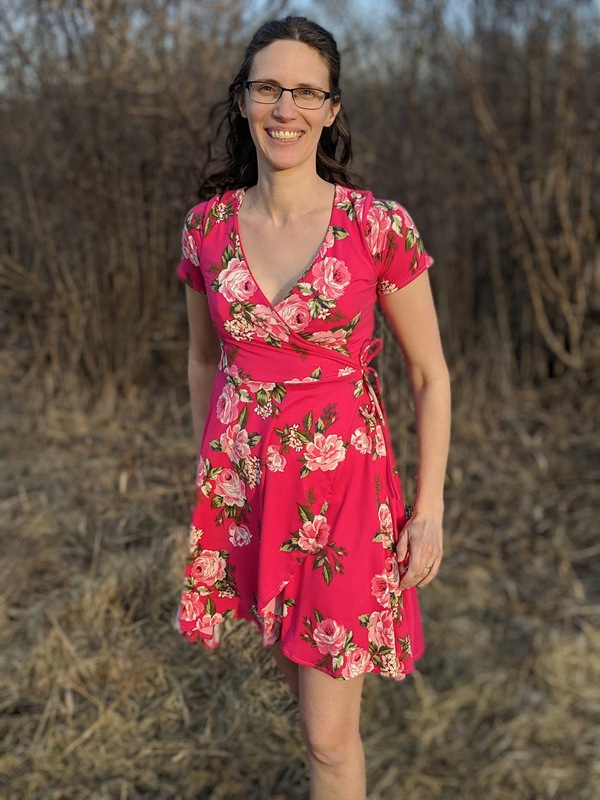 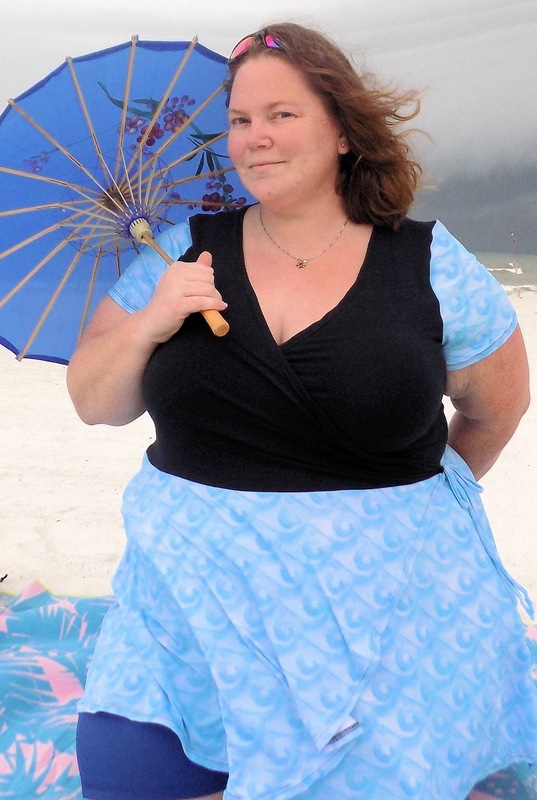 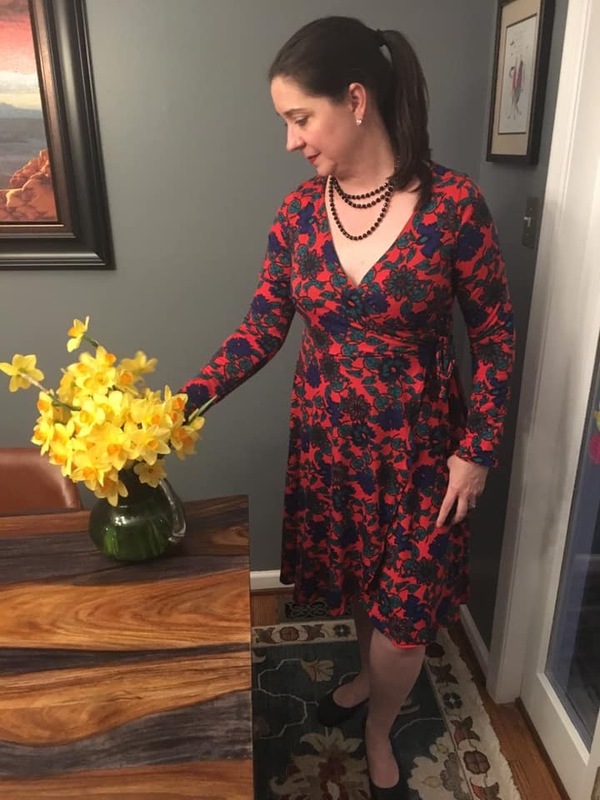 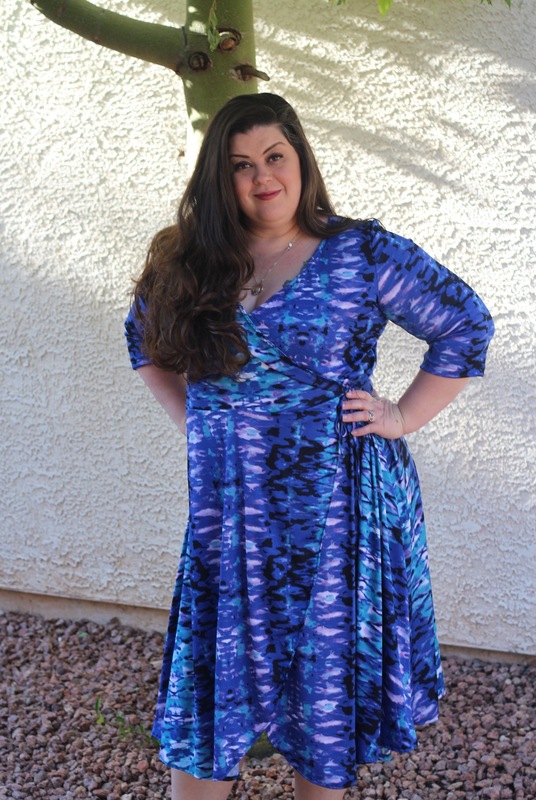 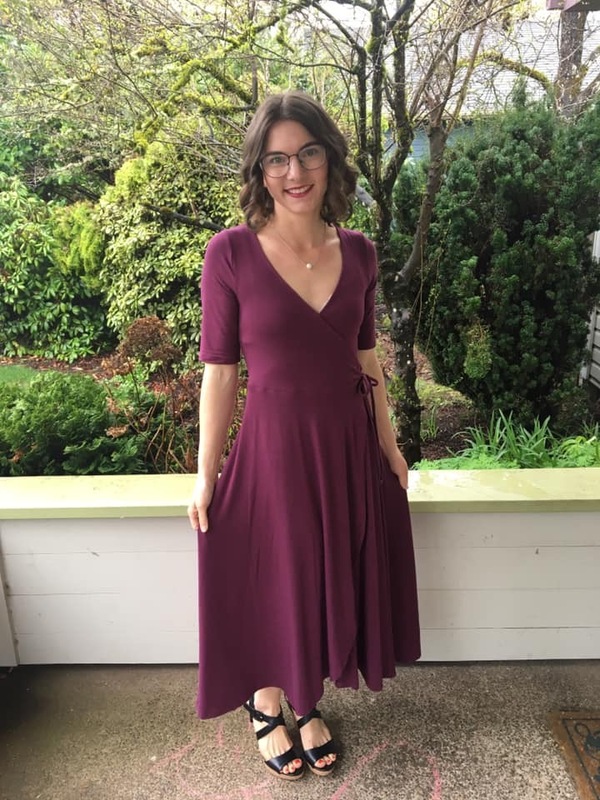 The Marsha Wrap Dress is a fun, flowy sewing pattern with a flattering wrap detail. 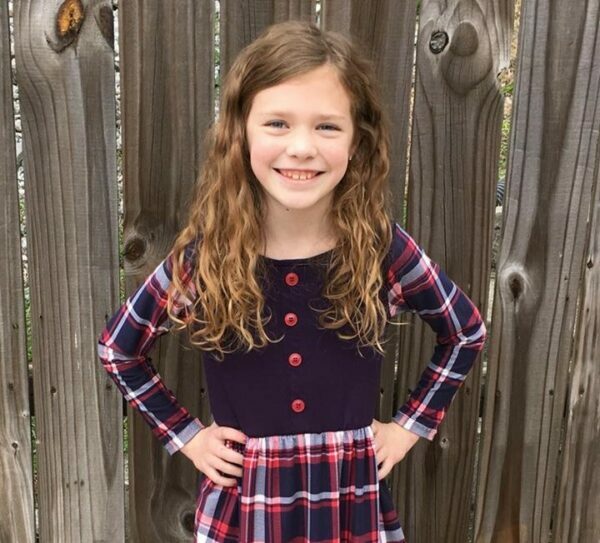 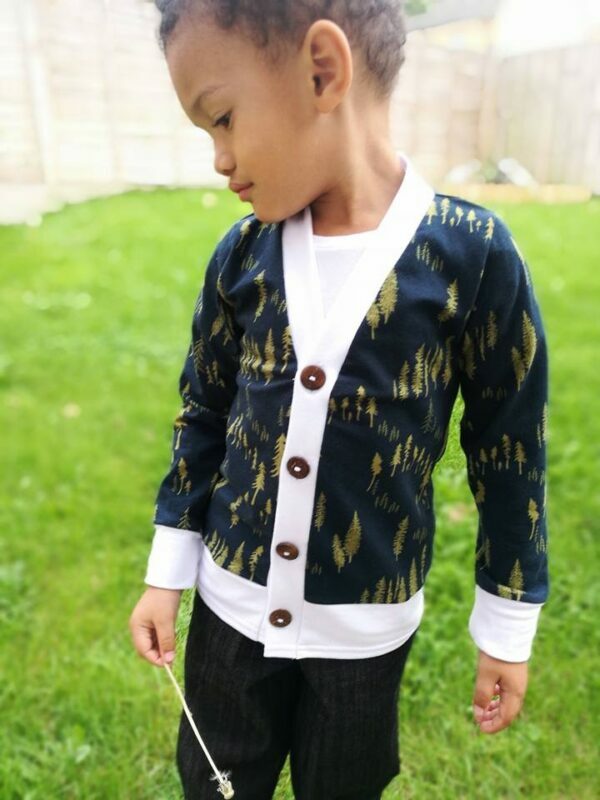 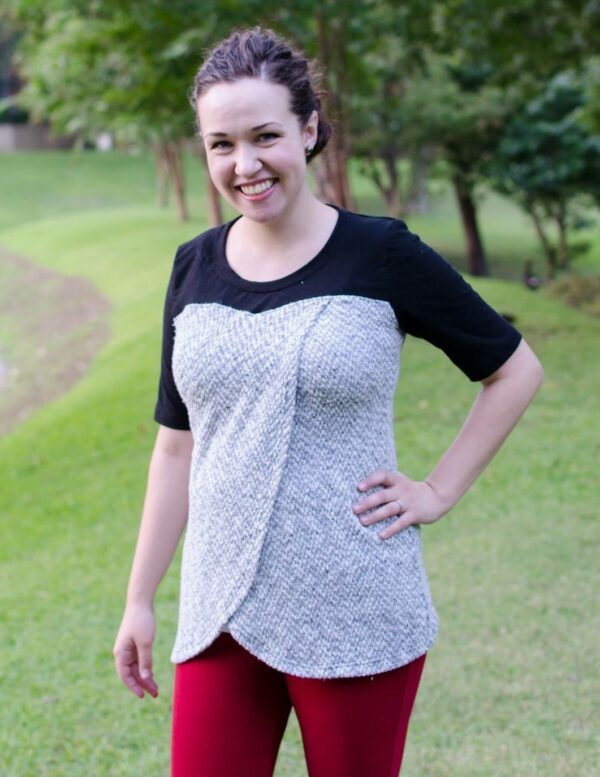 With tons of customizable options, it is sure to give you exactly what you want in your wardrobe! 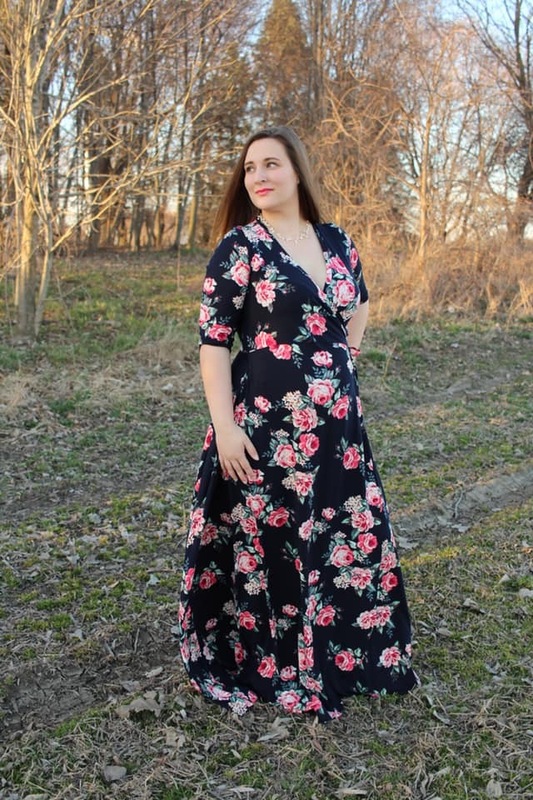 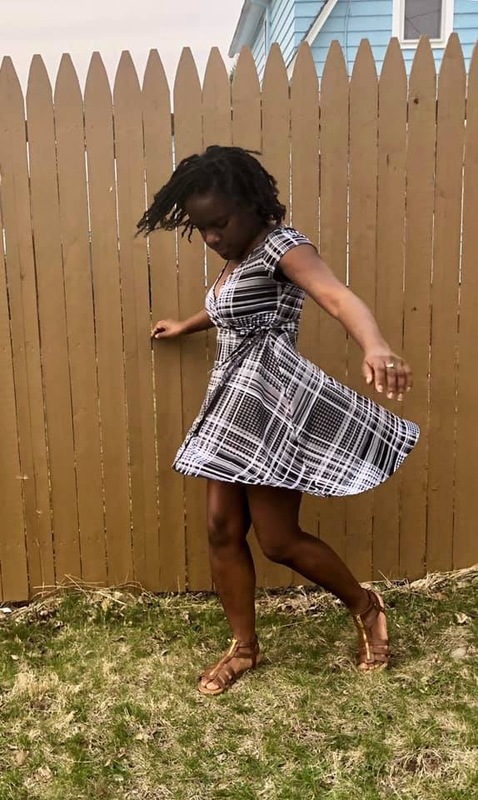 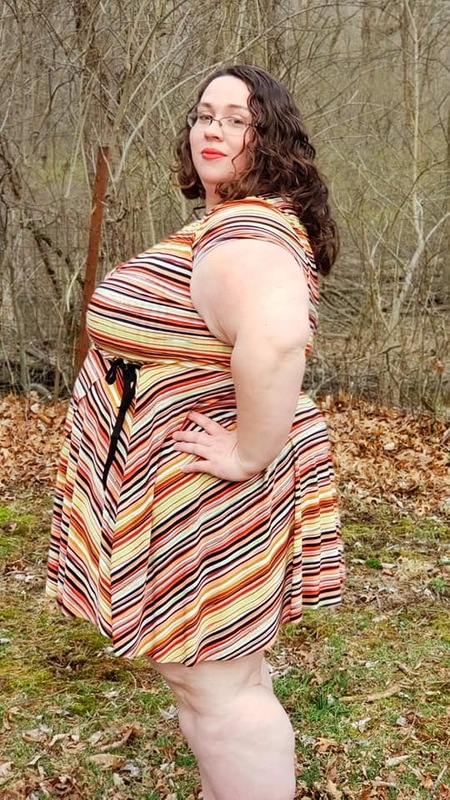 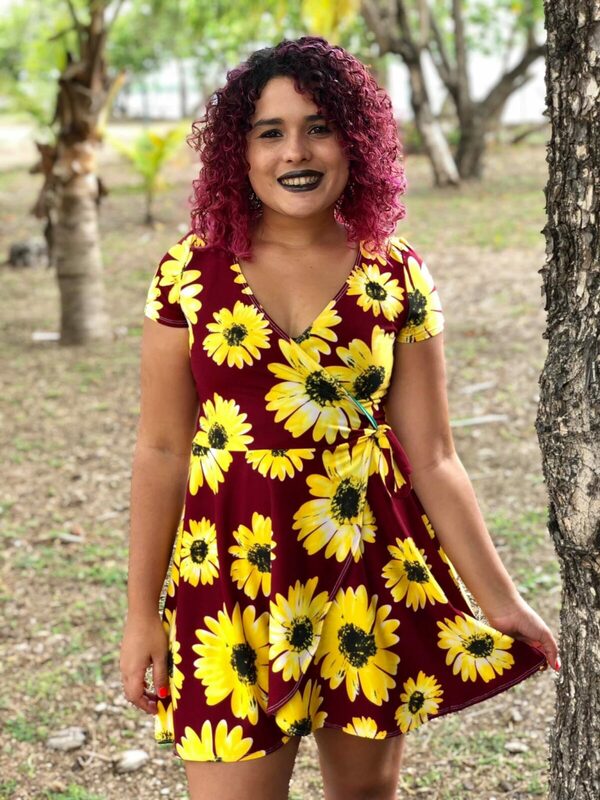 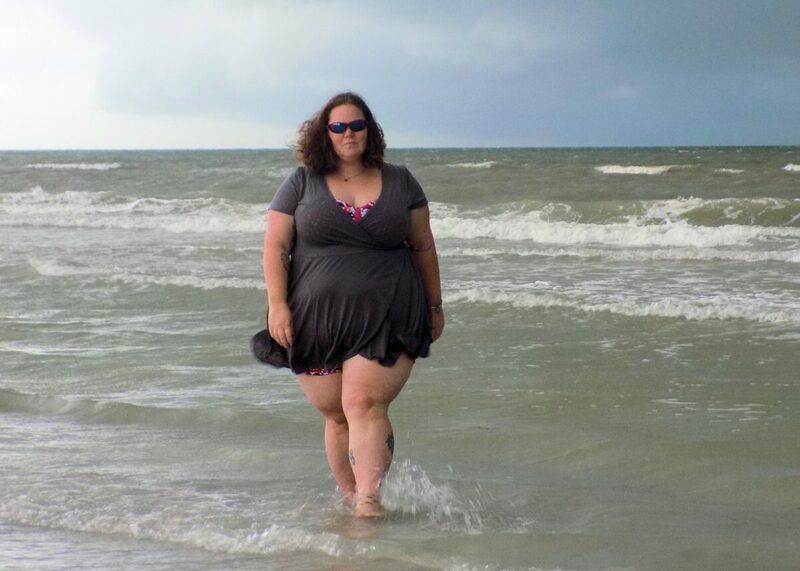 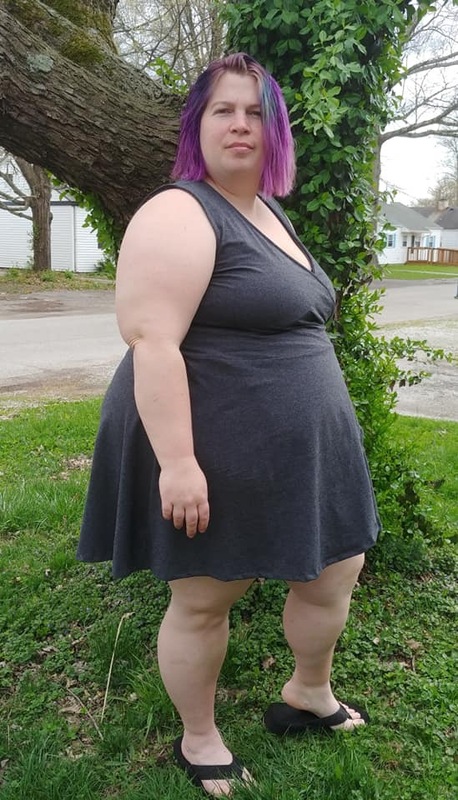 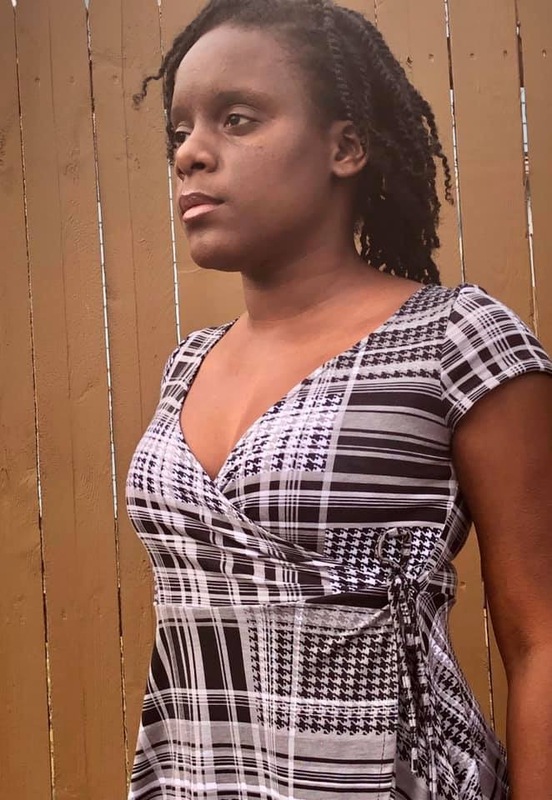 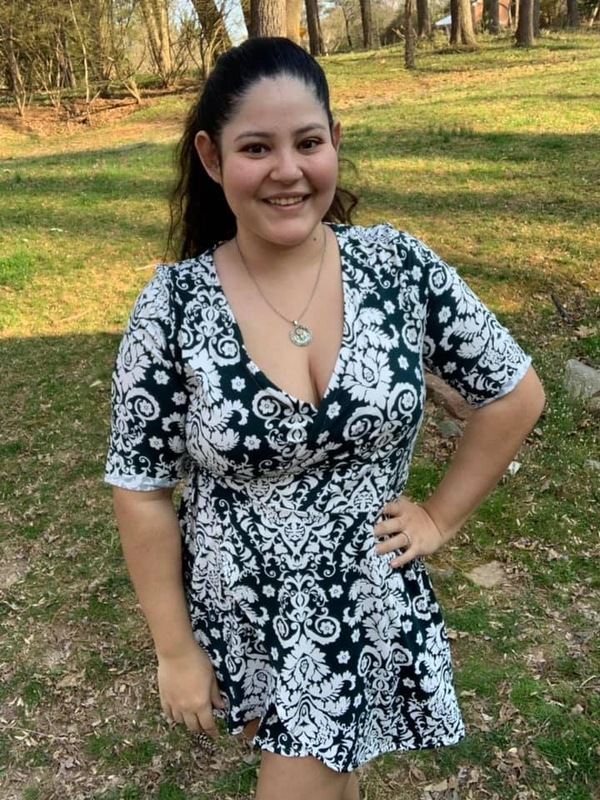 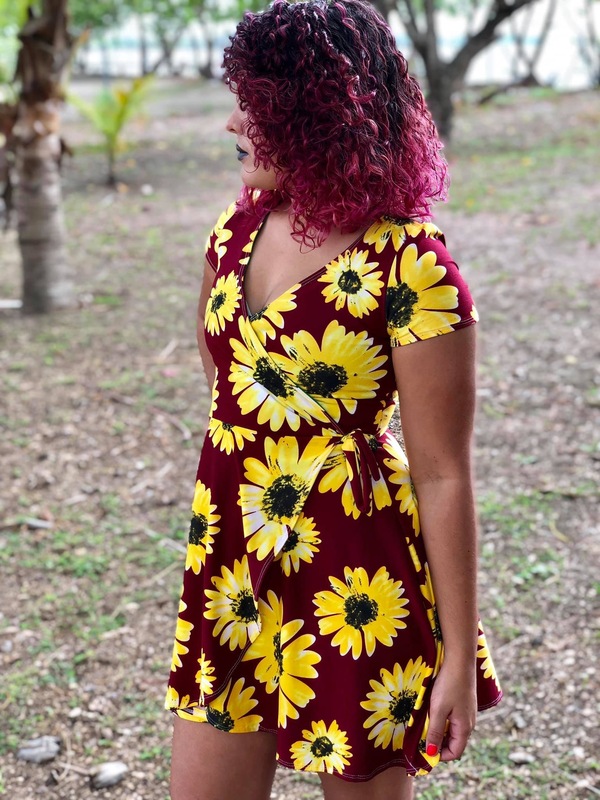 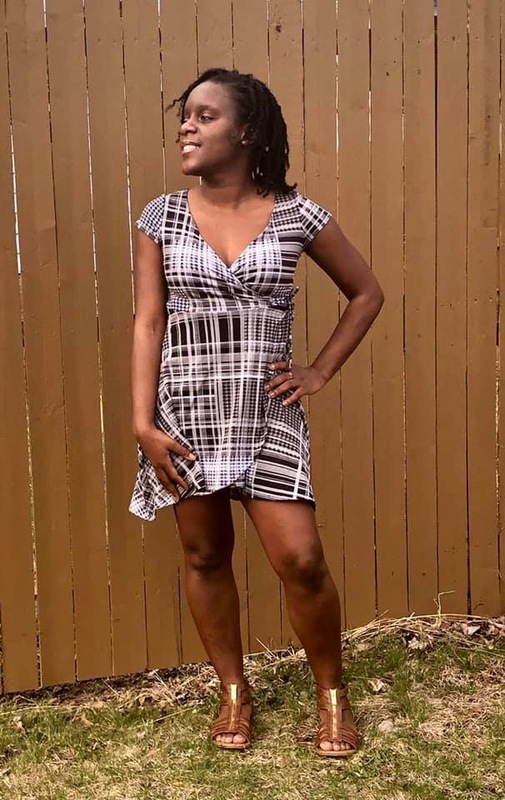 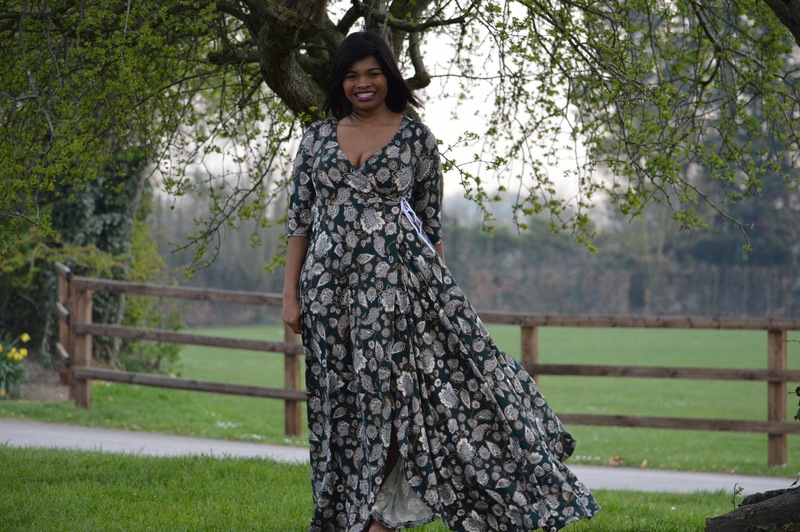 Featuring 5 length options: mini, above the knee, knee length, calf length, or maxi dress; you can choose the right style for you. 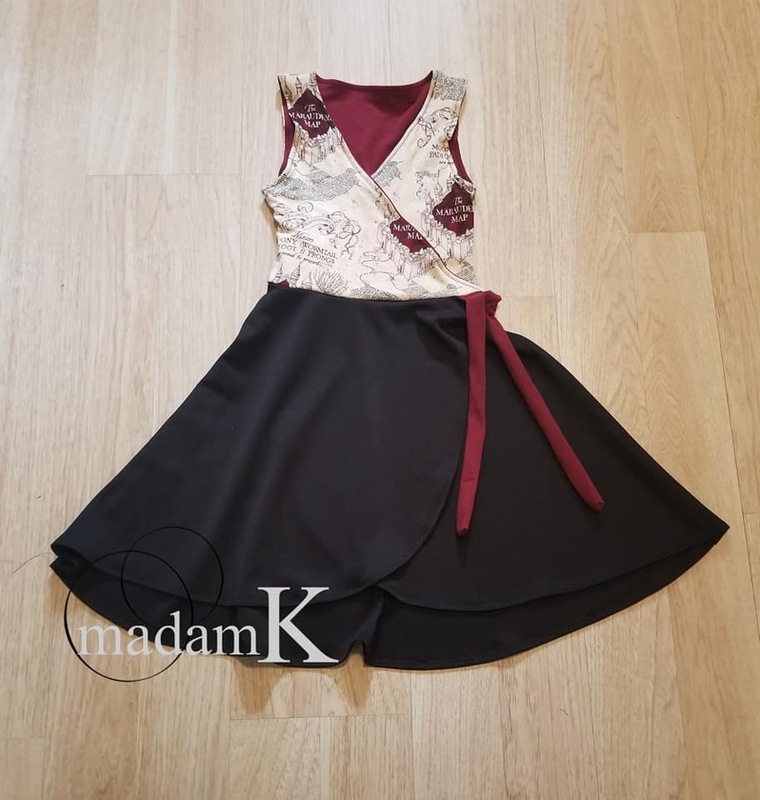 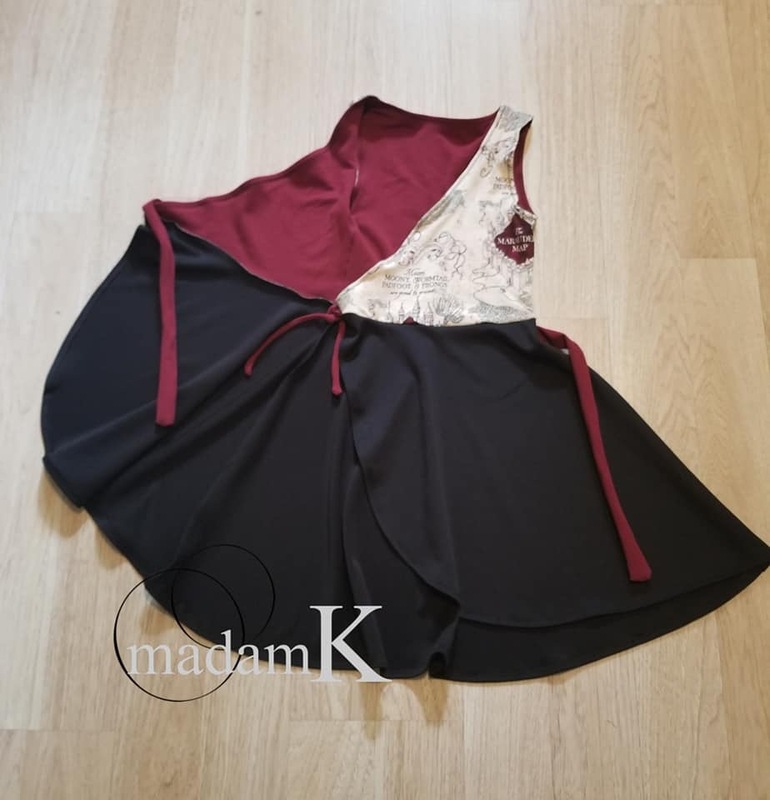 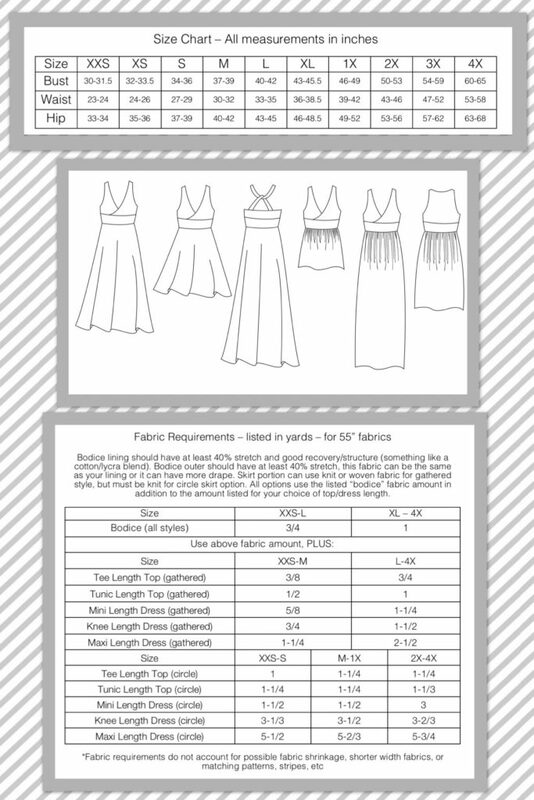 There are included options for a sleeveless bodice or regular set-in-sleeves in cap, short, elbow, 3/4, or long lengths. 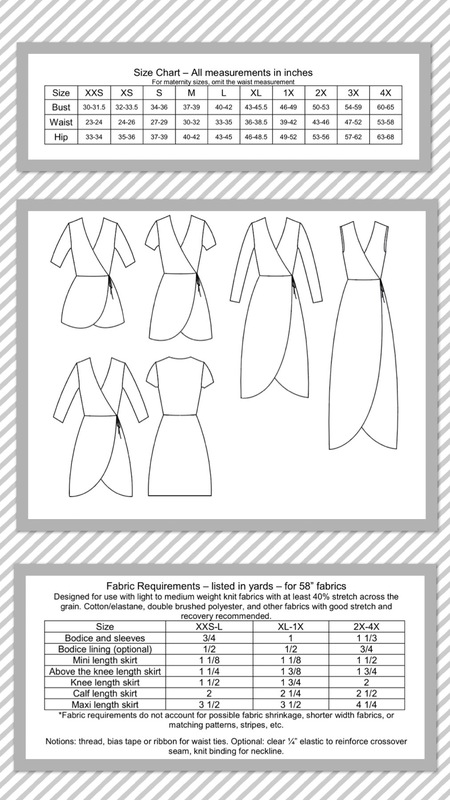 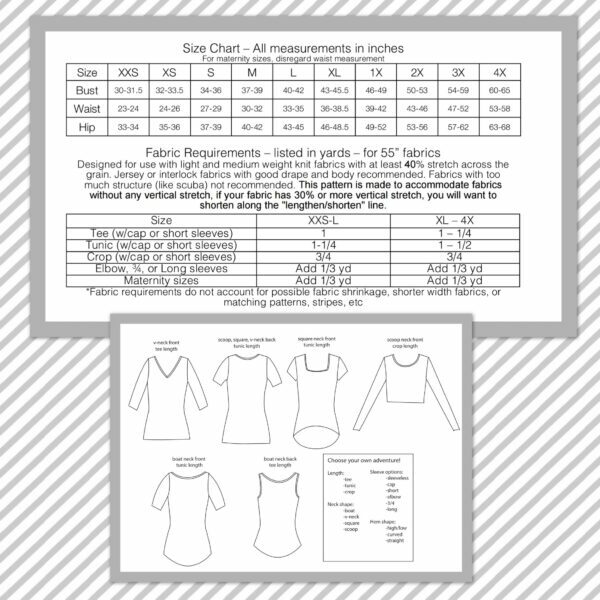 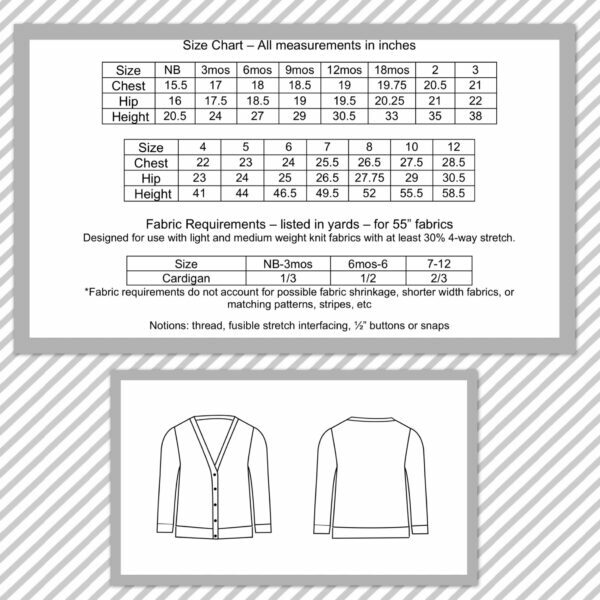 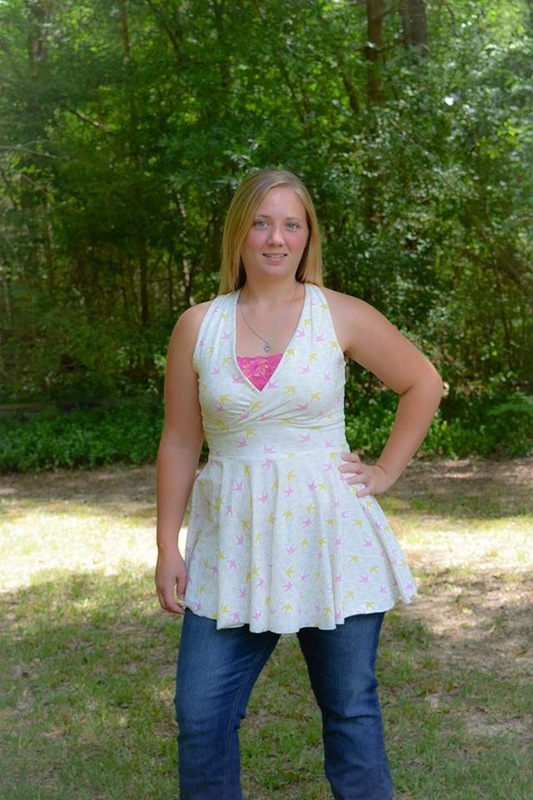 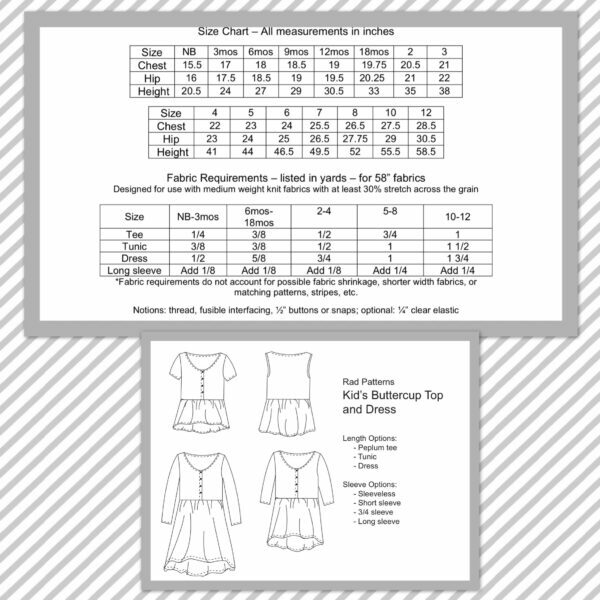 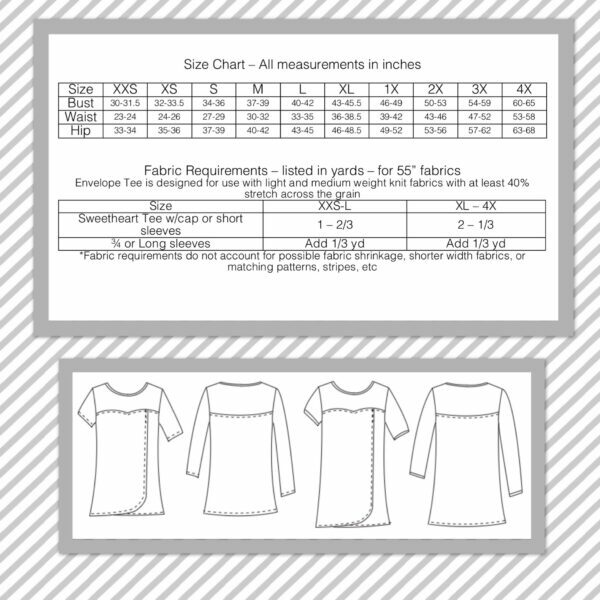 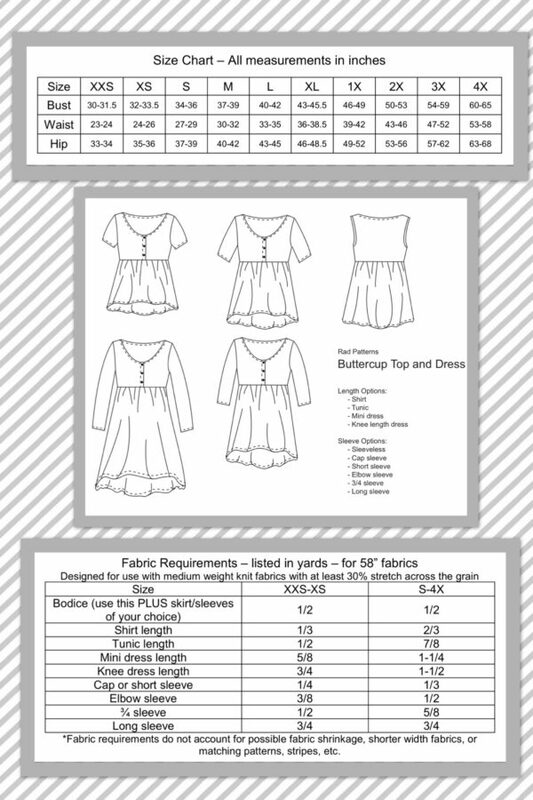 The instructions also include options for a lined bodice or bias facings. 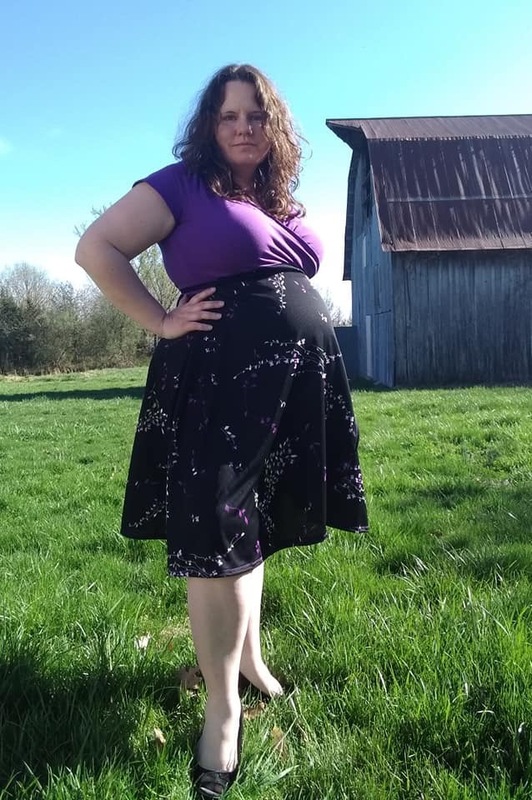 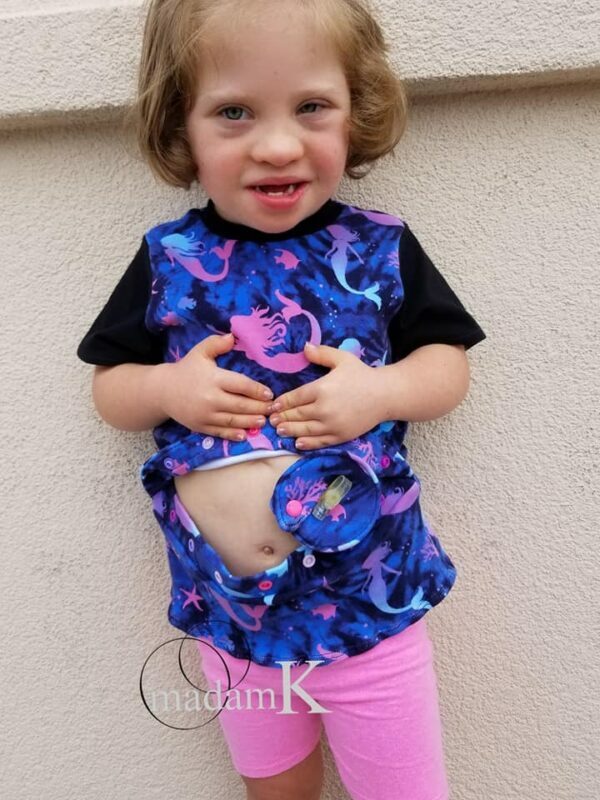 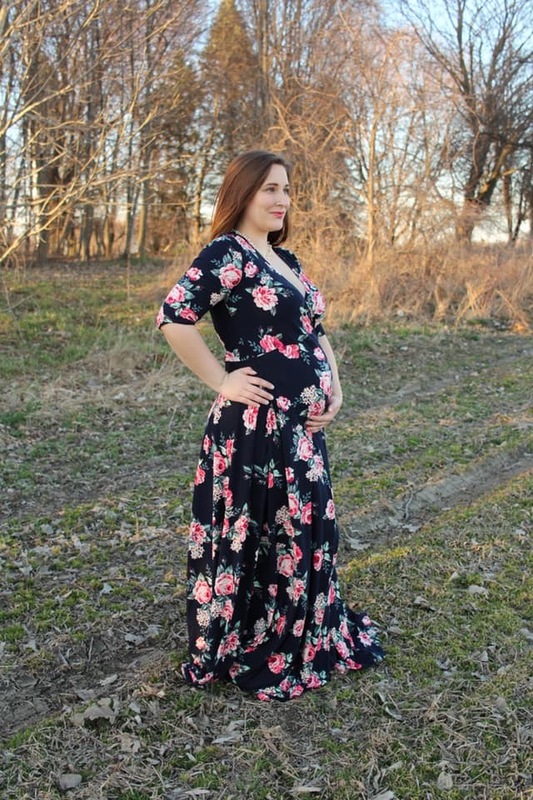 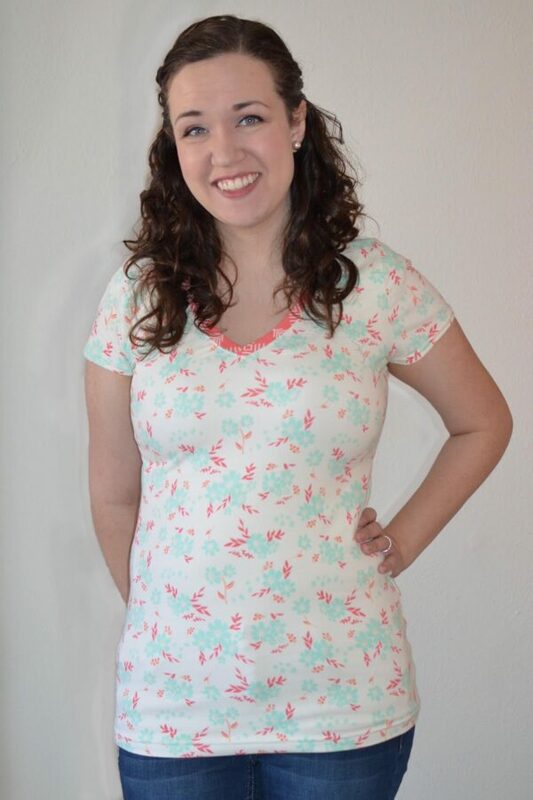 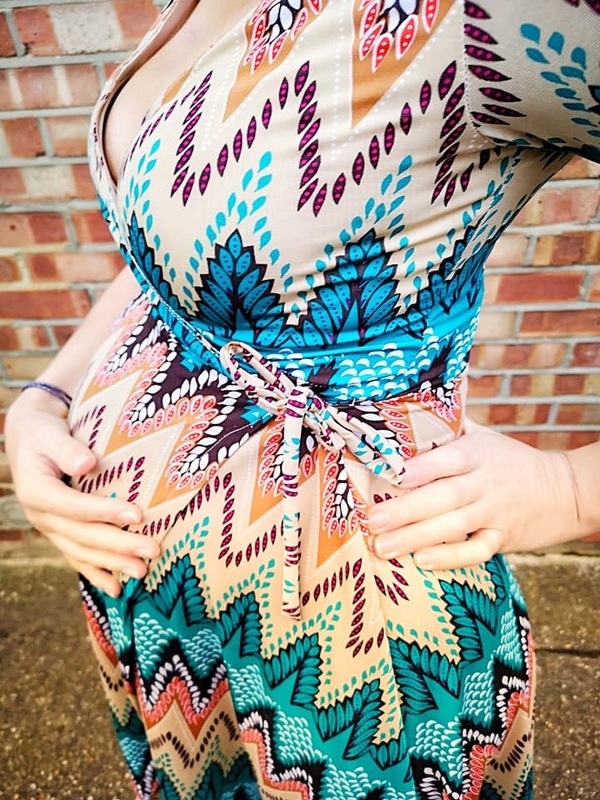 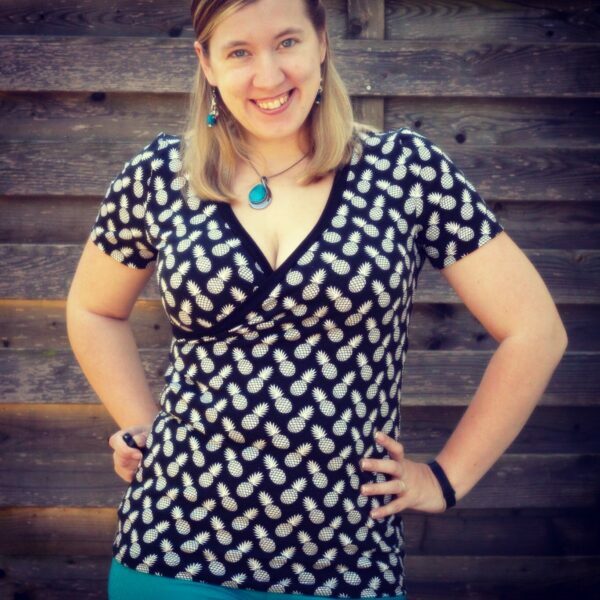 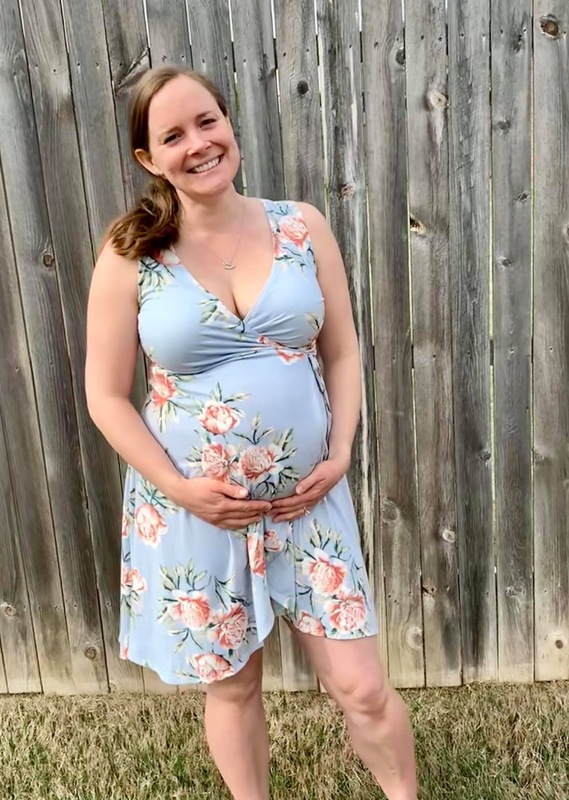 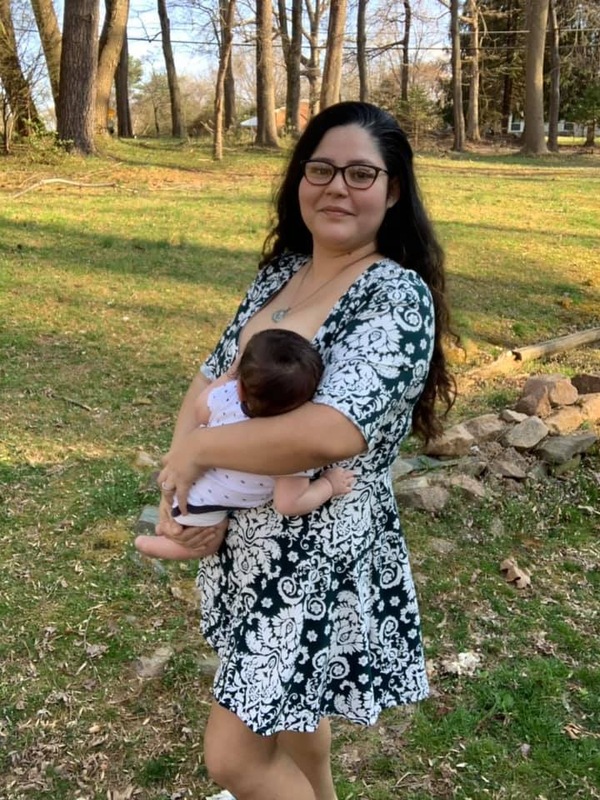 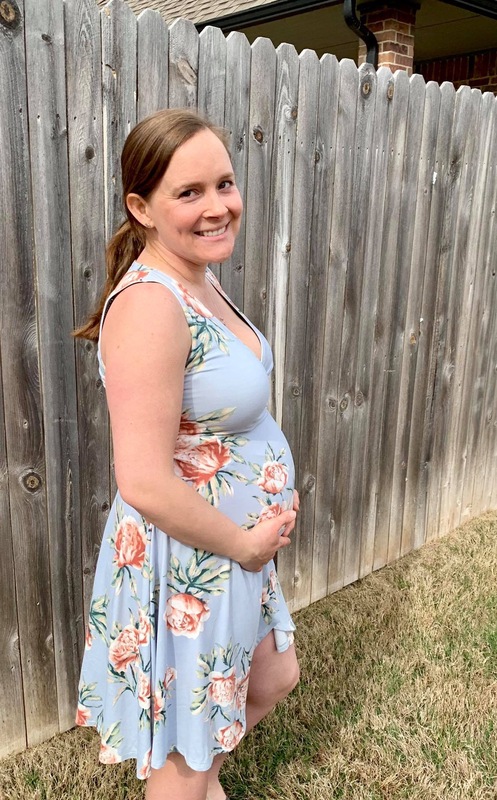 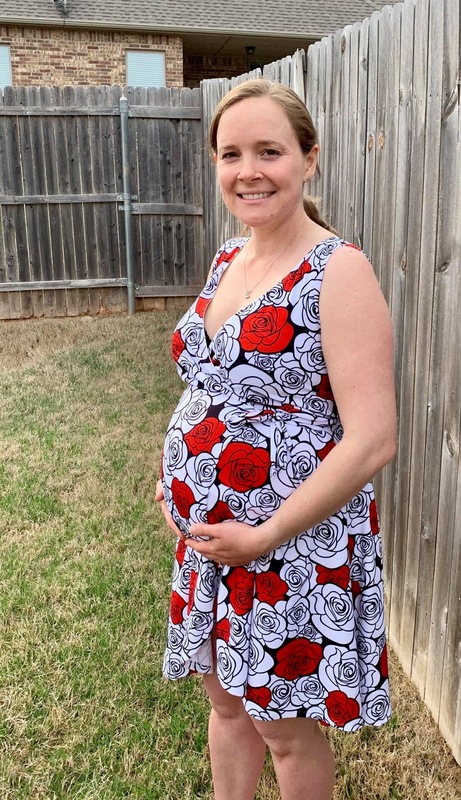 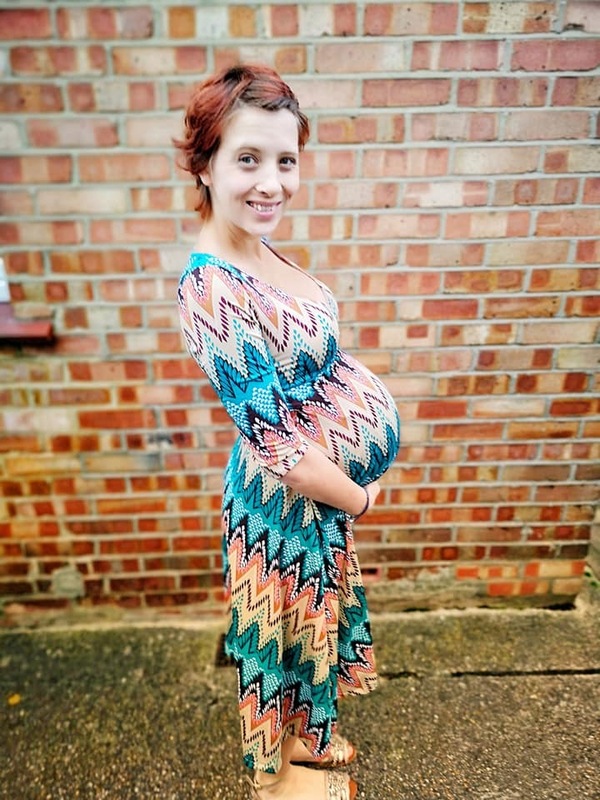 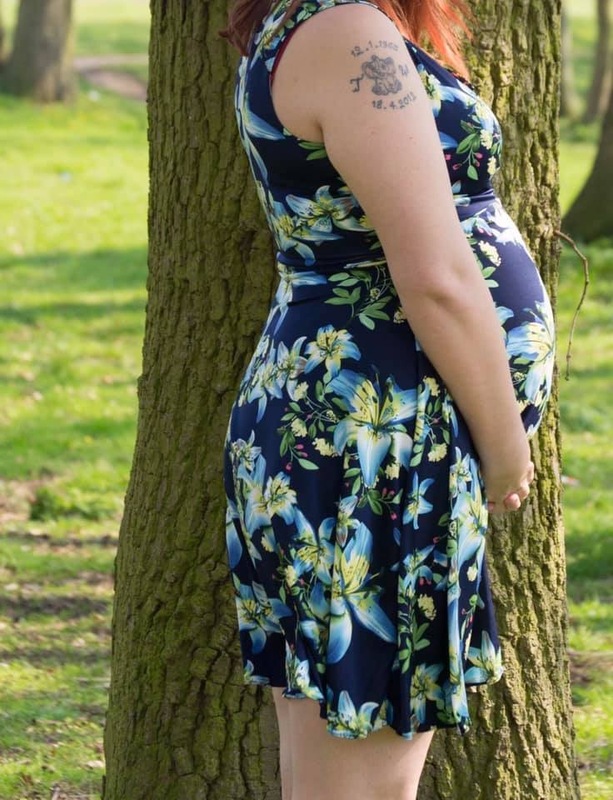 This pattern also includes both non-maternity and maternity options and is breastfeeding friendly! 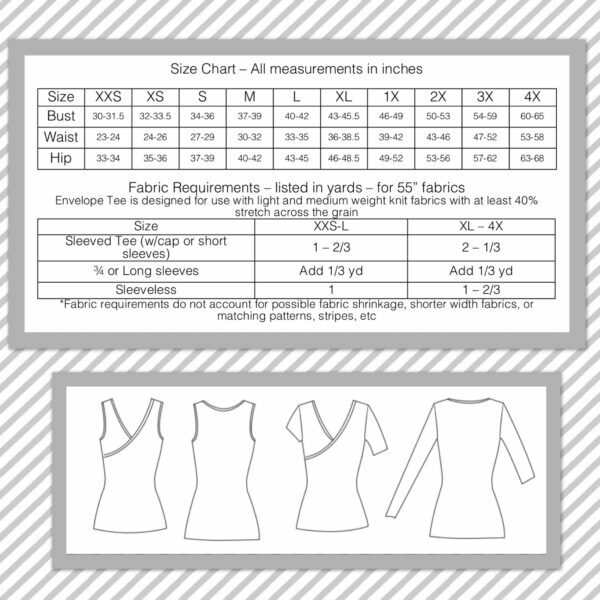 It can also be paired with the All The Sleeves Add-on Pattern (sold separately) for even more sleeve options! 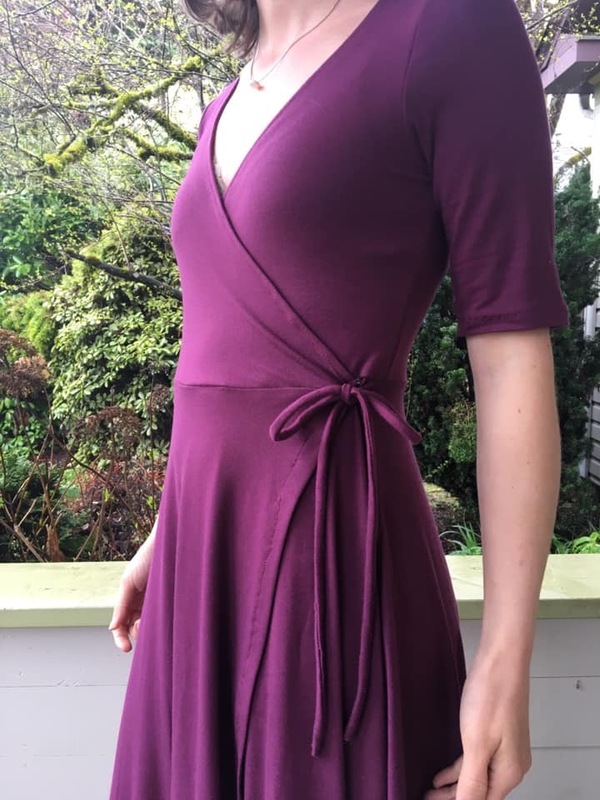 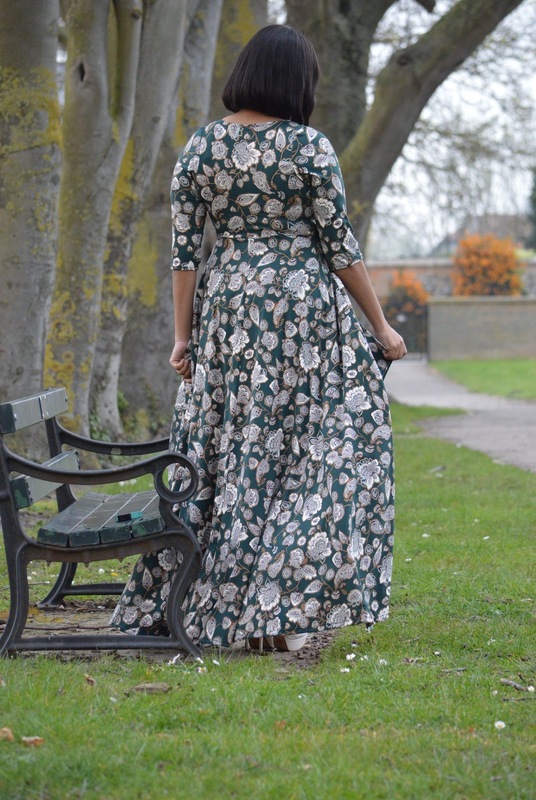 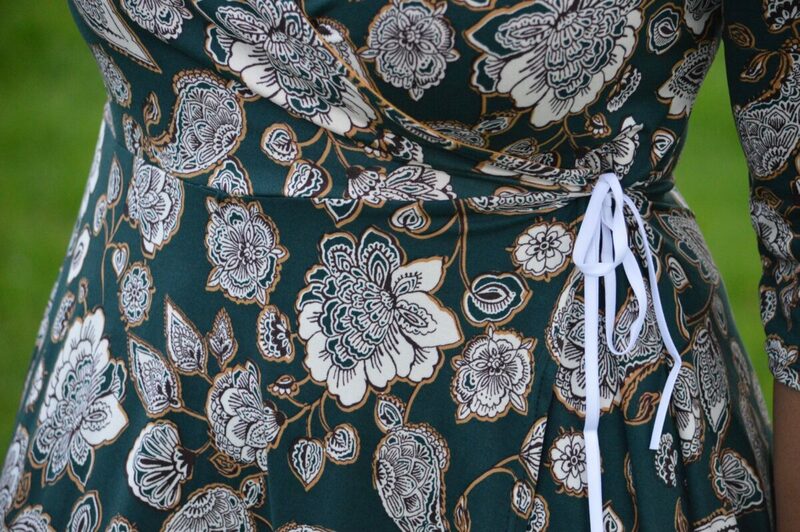 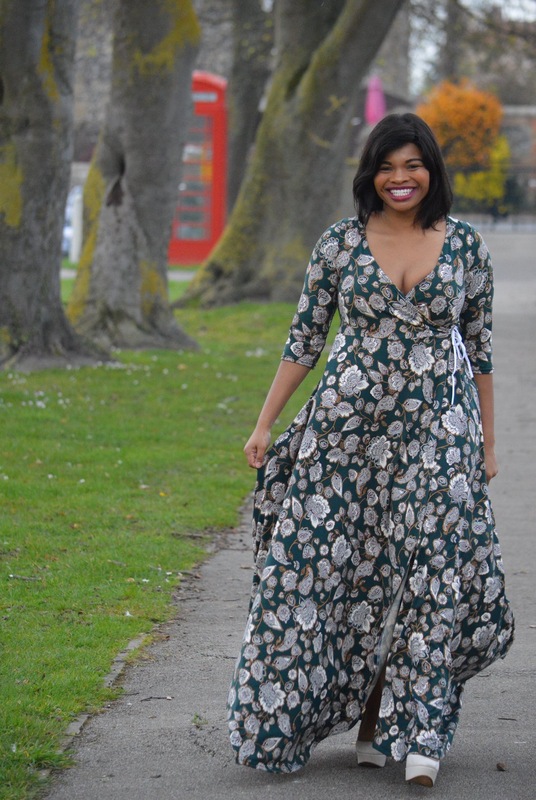 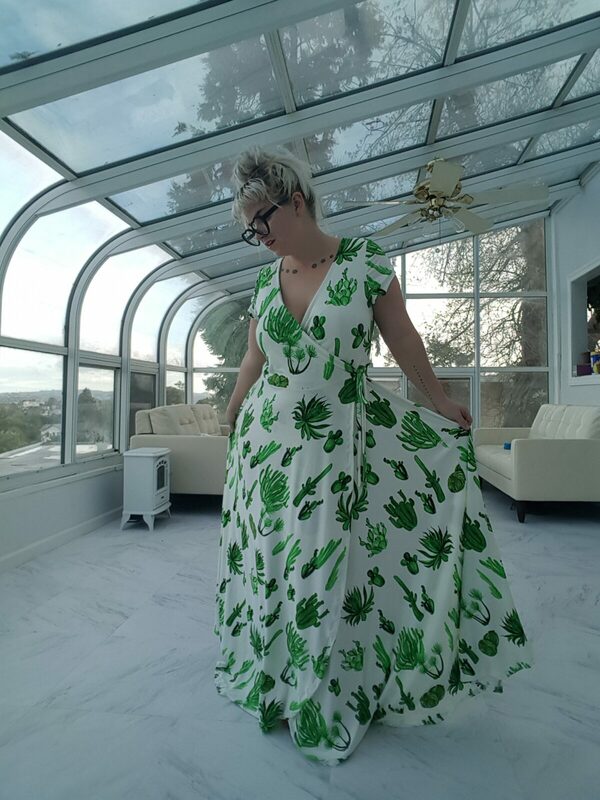 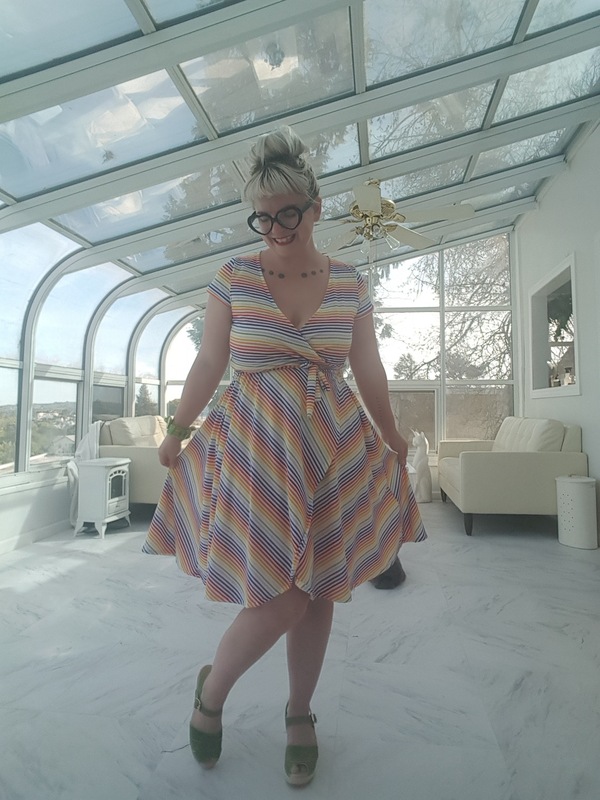 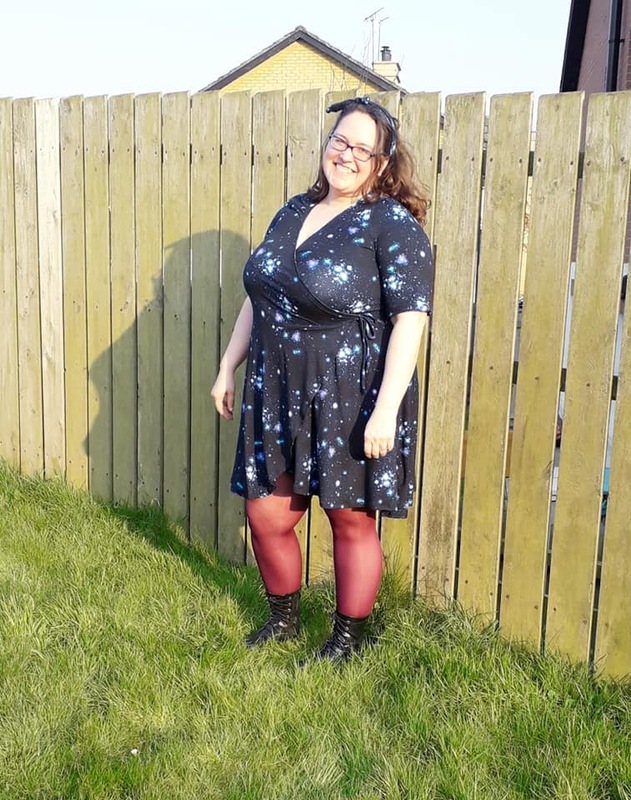 The Marsha Wrap Dress is perfect for any level of sewing. 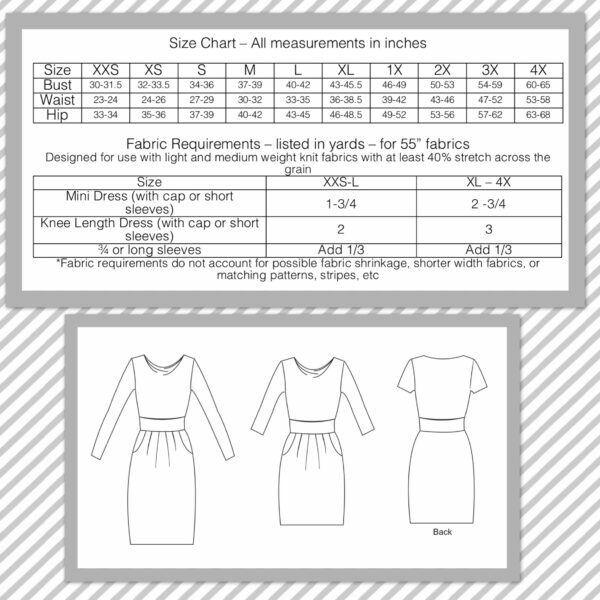 This pattern is made to use knit fabrics with at least 40% stretch across the grain with good recovery.